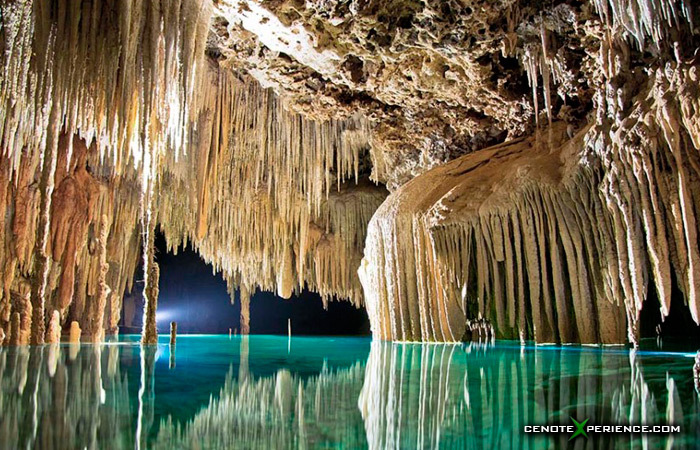 Besides the beauty, the cenotes, unique in the world, offer certified divers the opportunity to dive in the bowels of the earth, explore something different, float through caverns full of clear water, cave decorations and sunlight effects. 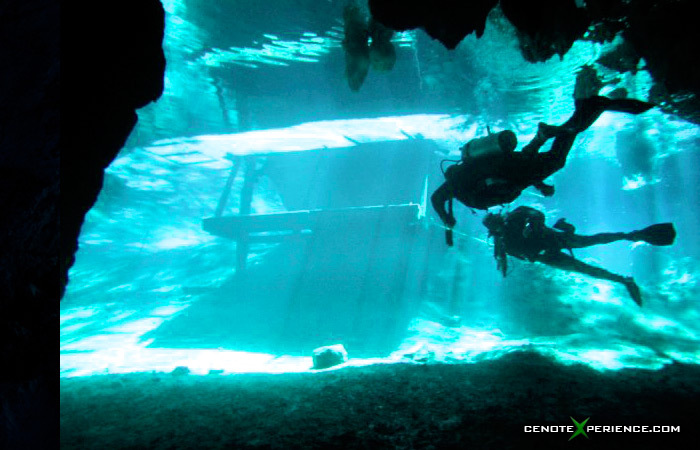 Cenote Xperience provides the safest and most custom tailored way to enjoy cenote diving from first-timers to experienced cave divers. Cavern diving in the cenotes is available for all certified divers who would like to safely enjoy a unique and thrilling adventure. 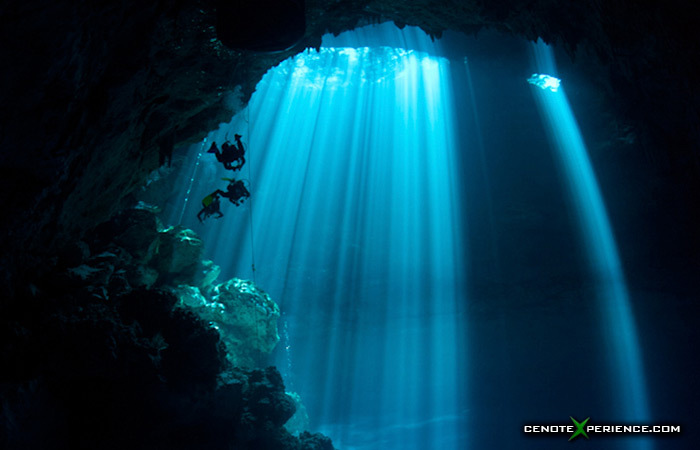 The cavern dives are conducted by a full cave diver certified by a recognized agency, IANTD. The guide is also a PADI open water instructor, with several years of experience and knowledge of the dives in the local cenotes, both below and above the ground. 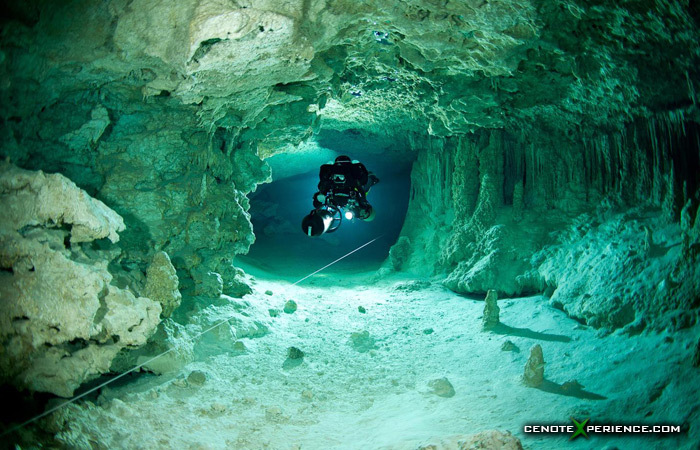 The number of divers in a cavern is limited to four for each certified guide. The dives are within the day light limits, and follow worldwide accepted standards. 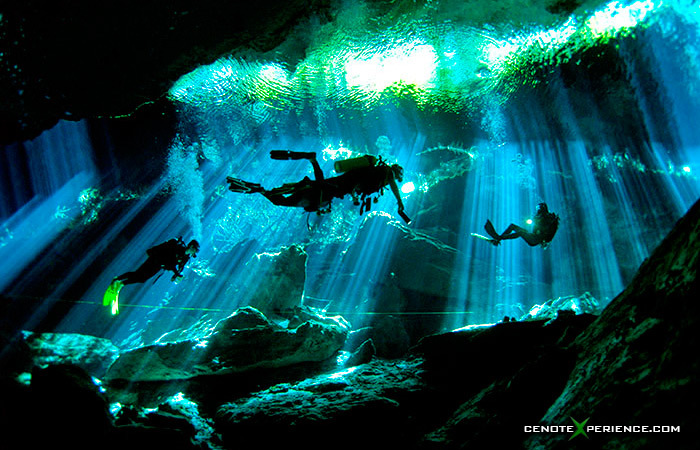 - Dive between natural daylight limits. - Maximum depth 70 ft or 21 mts. - Maximum 4 divers per guide. - Maximum distance of 200 ft or 60 mts. from surface. Starting from Playa del Carmen between 8:00 to 9:00 am, we pick up customers and we head to the south of highway 307, where more of the the cenotes are located. At the destination, we go through a detailed briefing, the explanation and review of rules for cavern diving. After performing the dives, we come back to Playa del Carmen around 2 pm.